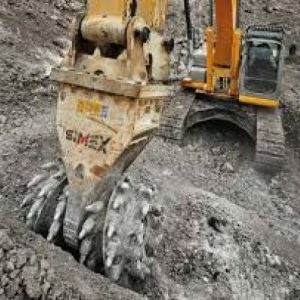 Ideal for trenching hard materials, profiling and resurfacing rock and cement walls, quarrying, demolitions and dredging, Simex Cutter Heads are extremely efficient where conventional excavation systems are too weak and percussion systems have little effect. 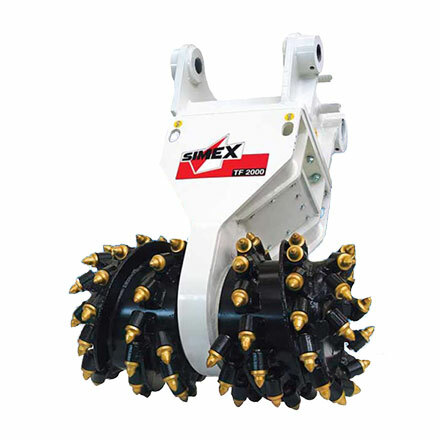 The special design of the Simex Cutter Head does not cause damage or disturbance to the surroundings so it can be put to work near populated areas, hospitals, schools, bridges and infrastructure. 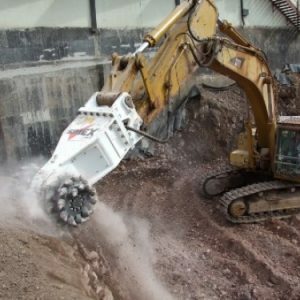 It is especially recommended for finishing operations, where requirements call for high precision, minimum intrusion and an optimum aesthetic result. 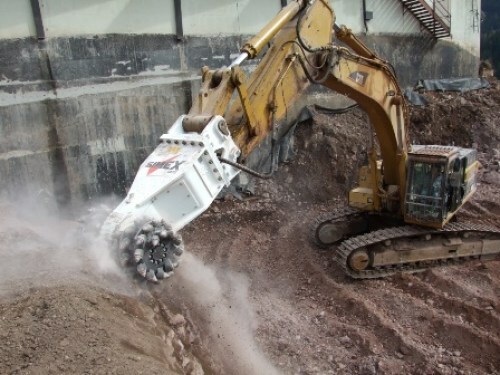 Suits 2.5 to 60 tonne excavators. 1 User is responsible for ensuring that the equipment meets the prime mover’s specifications and weight requirements. 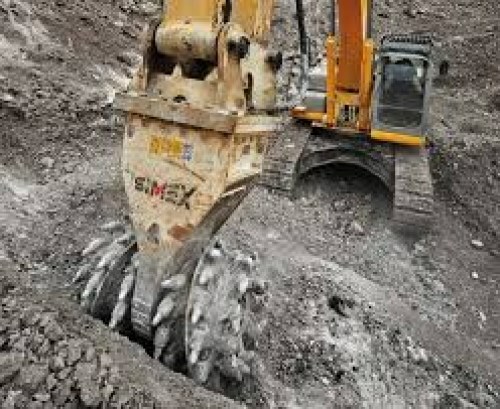 2 The cutting force decreases as the pressure and/or oil capacity reduces. 3 Number of revolutions and cutting speed decrease as the oil capacity reduce.